A few weeks ago We Are Knitters asked me to try out one of their kits and share my thoughts with my readers. Of course I said YES. I ordered up a Blueberry Muffin Snood kit in colorway pink. But I didn’t want to simply post a review and be done. 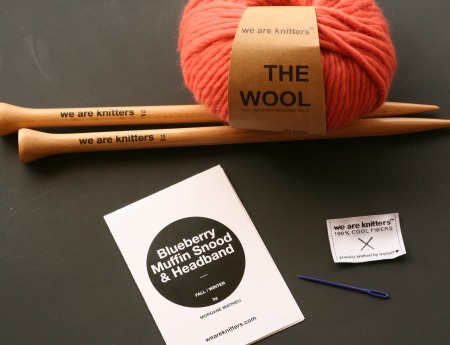 I wanted to take all of you with and let ya’ll experience the We Are Knitters kit with me. And you can hang out with me as I knit the cowl up from beginning to end in one sitting. This isn’t a paid endorsement. I haven’t been compensated in any way by We Are Knitters. We Are Knitters hope you will like what you see and become a customer. To help with that, they gave me a discount code to pass along to my readers. I liked it. We Are Knitters doesn’t skimp. They use good quality materials and with that in mind, their prices are very competitive. They sell kits for knit projects and crochet projects and then they sell yarn separately. Their signature yarn line is The Wool, an extra bulky 100% Peruvian yarn that comes in 200g balls. That is the yarn that I tried out so its what I’ll go into detail on. They also sell The Petite Wool (which is worsted weight), Cotton (which a friend of mine has tried and she likes it), and Baby Alpaca. They sell to North America and Europe. You can find a link in the upper right corner that will let you change your country/language/currency. If you sign up for their newsletter, you get $12 your first purchase. If you get something and you don’t like it, you can return it for a refund (which includes shipping charges I think). First I have to say, its not a snood. This kit makes a cowl (and matching headband) but names are not important at all. The pattern you get is hard copy. Digital copies are not provided. The pattern itself is simply written with graphic illustrations to help with construction and I always like that. The Wool is nice. Its good stuff and just as soft and squishy as you’d expect from looking at the pictures. As I mentioned, its extra bulky (that would be a #6). 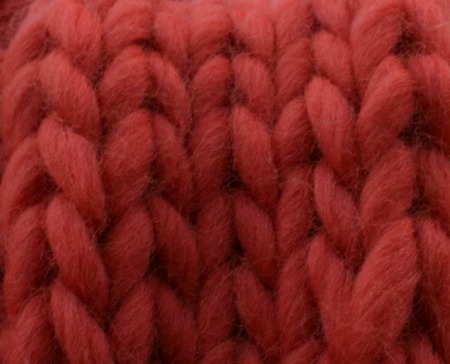 The official gauge on this yarn is 7 sts to 4 inches (10 cm) with US size 19 needles. 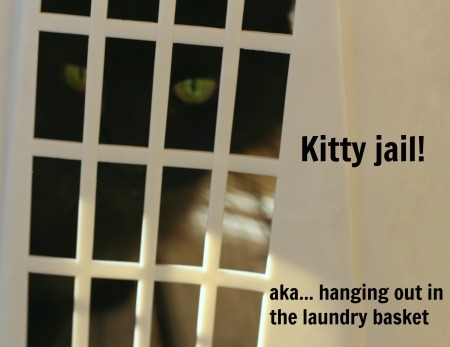 Its a single ply yarn so its very puffy and soft to the touch. Its spun at a low twist, which is the only way to get a soft, puffy single but I didn’t have any trouble with it at all. It didn’t pull apart or separate on me. Also it didn’t get twisty and start looping on itself as I knitted. That was a bit of a surprise because nearly every other singly ply yarn I’ve worked with does to some degree (Malabrigo worsted, Noro Kureyon, Cascade Casablanca). No wool prickles. None that I can feel. I’ve been wearing this snood cowl around my neck for three days now and I haven’t felt any itches. A note about the price: $24 a ball is darn good. If you buy a bag (10 balls I think) you get a volume discount. Compared to Third Piece Funky Chunky or Kureyon Air (which is 100g balls), The Wool is very competitive in the market. I really like the needles. That surprised me the most. We Are Knitters allows you to add in/take out needles in their kits for the +/- price of $12. If I hadn’t been doing this as a product review, if I’d just been ordering for myself, I’d have skipped the needles in this kit and that would have been a big mistake. Fifteen inch long wooden Size 19 needles for $12? You can’t beat that. And the tips are sharp; sharpest I’ve seen on wooden needles. With this kit, and the yarn it came with, sharp tips are not very necessary (but they don’t hurt anything). However, if you want to hold 4 or more strands of yarn together, which is what I’m usually doing when I’m kitting on big needles, a sharp tip is exactly what you need. The needles in this kit just became my favorite big needles. Finally the little notions, woven tag and tapestry needle, are nice. They’re cute. I could take them or leave them. But they do add that little something extra which makes you feel like We Are Knitters is looking to provide a quality product to their customers. And I’m wearing my snood cowl as I type this out because the weather in Austin has turned a bit chilly. I had a great time with this kit and with this series of posts. Hope you enjoyed coming along with me on this product testing journey. If you do order and give We Are Knitters a try, let me know how it goes and what you think! 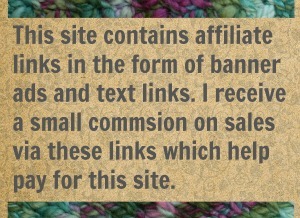 9 Comments on "We Are Knitters – a product review"
I too, am very impressed with their yarn and the big needles. Got my Nick Blanket kit in the mail today and have already started it!! I love it!! I am avid crocheter and have taught myself to knit in the past few years and this is great project for an easy afghan!! Thank you for the discount code and the heads up on this business!!! 🙂 Another knit kit and a crochet kit on the way!!! I have to admit that Nick Blanket looks so dreamy and warm. You made a good choice there. As for the code, you’re most welcome! More needles! That must make you a happy camper. Oh yes. Not that I need more needles of course. But I can’t help myself when it comes to knit & crochet tools. Its a sickness. I must always have more. I am a horrible-bad enabler of all yarn-y things. Its my calling. And i just went and checked out that Crystal Quartz blanket kit. That is a NICE one. I bet you have it done in less than three days! You are very adventuress! I’m impressed. Wowzer. That is quite a lot of semi-divine creatures to keep happy and contented. I hope they go easy on you and I’m not just talking about the knitting. A cable needle for extra bulky yarn…. hmm…. How about a cheap aluminum spoon? You could bend into a hook shape. I prefer cable needle shaped like hooks.